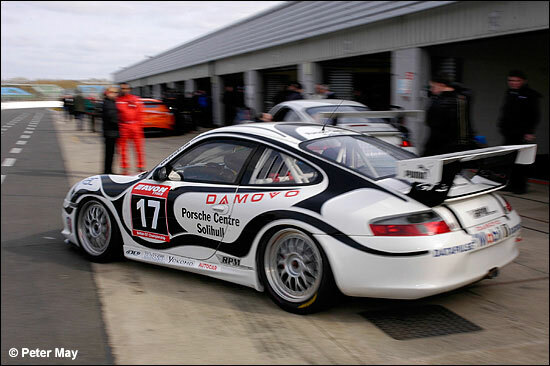 There are less Porsches in the 2006 GTC field than expected - with Tech 9, Team Parker and ABG absent from the entry list. Despite this, there are still nine Zuffenhausen representatives, and all are capable of delivering results. Trackspeed and Hawthorns will be covered elsewhere, so what news from the others? After all the chopping and changing amongst the RPM, Motorbase and Bill Barrett Porsches last year, it is with some relief that 2006 appears to promise stability on that front. 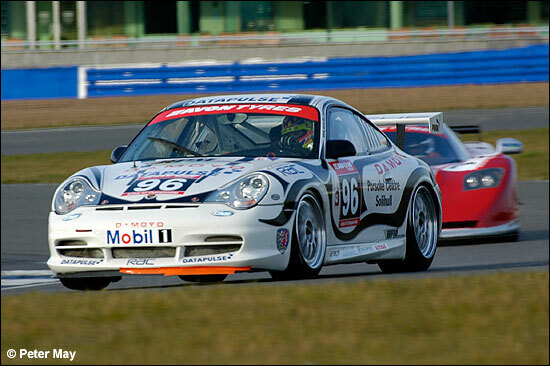 The three Porsche Cup drivers are well known to British GT followers; Tim Harvey, Phil Quaife and Michael Caine. “Cainey was the last piece in the puzzle and I’m delighted we’ve got him as he always makes me smile. He’s ex-Tuscan and I love working with Tuscan drivers,” said Bartrum, himself a former driver. In fact, most of Motorbase’s 2006 driver squad have driven Tuscans before, so it sounds like they’ll have a good year. Former Team Parker racer, Gary Eastwood, has signed for the full year of BGT with Motorbase (in #16) and it is still possible that Harvey and Caine will guest in the series in ’06 if the schedule allows. He set the fastest Porsche time on Wednesday, but running Dunlop tyres at the time (as was the Team Tiger Marcos, fastest in GTC). 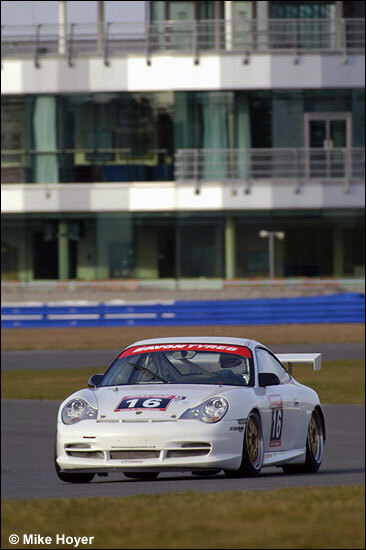 Mortimer’s 2005 season started on a high, with pole position at Donington and ended on a high, with a victory in the Invitation Class at Silverstone. In between those two races, the parting of the ways of RPM and Quaife effectively meant that he only ran half a season. 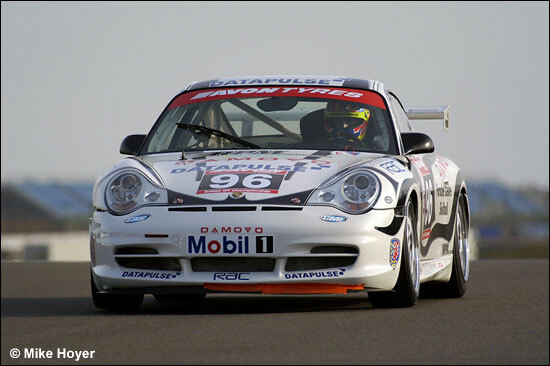 As well as the BGT, Mortimer will be racing a Radical in 2006. The second RPM car will be contested by Phil Glew and John Ingram (below), while the second seat in Mortimer’s car is still up for grabs. The control fuel has changed from Sonoco to Petrochem Carless for the 2006 championship, and the Motorbase Porsches (amongst others) were clearly unhappy with last year’s fuel, hence the Invitation Class. The new fuel appears to be much more to the car’s liking, allowing RPM to concentrate on the GTC Class. 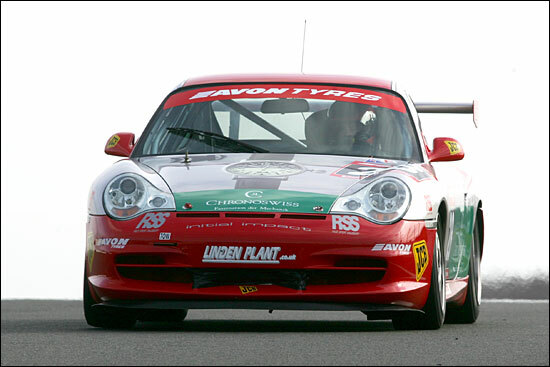 Both RPM Porsches have yet to run on Avon tyres. Mundy will be sharing the car with former Damax and DRM driver, Jamie Smyth. They will contend the full season, with the exception of Rockingham, owing to the small matter of Smyth’s wedding. With no Tech 9 in British GT this year, the Porsche honours (and the title, perhaps) are up for grabs.